We’re sorry to let you know you did not win our Free Fence Giveaway. However, as a special thank you for partaking in our contest we’d like to extend to you a 10% off coupon for any Fencing job you need. 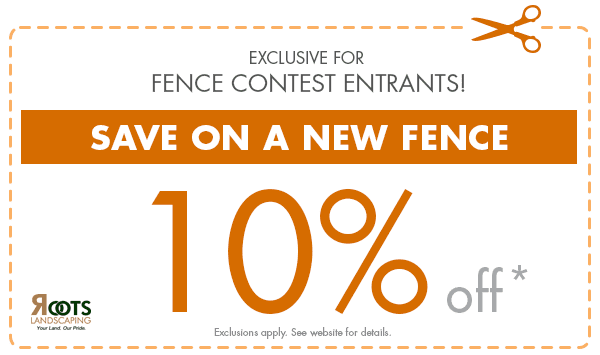 * This offer is only valid to participants of the Free Fence Giveaway contest and is non-transferable and has no cash-value this coupon may not be redeemed for other services. Limit 1 coupon redemption per household. Offer applies only to the cost of materials, not labor or any other additional expenses incurred. Coupon applies to cost of materials only. Offer expires 7/1/16.